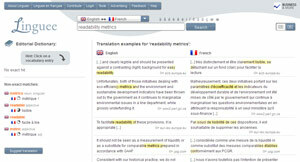 Multilingual text alignment consists in putting face to face two texts in different languages. By text, we mean here any equivalent unity like a paragraph, a sentence, an expression or a word. This technique is used for automatic translation and gives its best results when the corpus is wide (to cover the maximum number of use cases, as it is a statistical approach) and the vocabulary reduced. The third article of that series about advanced jQuery Form validation deals with conditional triggers. In that particular case, we have a conditional trigger displayed as a radio button that makes a set of checkboxes required when activated, and optional when not activated. All the checkboxes share the same name checkBoxesName. Note the square brackets, as we handle them with PHP on the server side, and the grouping has to be done this way. To apply a validation rule to the set of checkboxes, the square brackets have to be used, hence the simple quotes used to delimitate their name in form validator set of rules.